When you are looking for a heating contractor that serves the Manchester, Vernon, Bolton CT region, you want the Best – call Charter Oak Mechanical. 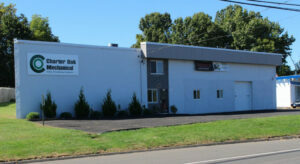 Charter Oak Mechanical would like you to know that we are your local heating and cooling specialist all around Connecticut. Winter isn’t over yet… call Charter Oak Mechanical, the trusted name in Heating and Cooling. The Charter Oak Mechanical staff is knowledgeable and professional. Charter Oak Mechanical will service your home or business in the Manchester, Vernon, and Bolton CT area and surrounding towns. Furnace Installation and furnace repairs : install your furnace and we service any brand. We specialize in installing energy efficient units which save energy as well as lowering your heating bill. Boiler Installation and water boiler repairs : outdated and broken boilers can really hit you in your heating bills. Here at Charter Oak Mechanical we offer high efficiency boiler that will help you lower your heating bills. Heat Pumps : Charter Oak Mechanical will install a heat pump that will keep you warm all winter as well as keep a lid on your budget. We recommend choosing one that has highest SEER and HSPF rating available. Ductless Mini Splits : This units are being built all new modern homes and apartments and commercial building. Mini splits are a fantastic way to heat and cool your home or business. These units also can save you money since they are energy efficient. We regularly get five star reviews (visit our Facebook page) and customers rave about our great service, friendly staff, and expertise. Charter Oak Mechanical can service your residential or commercial business anytime and we stand by our work with our guarantee. Charter Oak Mechanical Services strives to ensure 100% customer satisfaction. Give us a call today at 860-432-8915 to see how we can help!